During this Taster you will learn the basic principles of Holacracy and how you can apply these in real life. 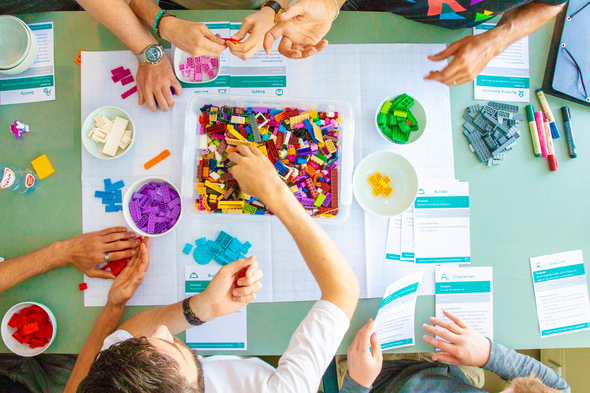 You will learn about the transition fase from Viisi, who are working with Holacracy for over 2 years, as well as their experience with Holacracy right now. You'll hopefully start the weekend well inspired! What are we going to do during this Taster of half a day? You'll see and hear a short introduction of Holacracy. You'll experience what's it's like to work in Holacracy, during a simulation. We create a new company and will do some work and meetings in this made-up setting. You'll do a guided governance and tactical meeting, both a vital part of Holacracy. You'll get a taste of how different a meeting can go and how fast you can deal with lots of topics on the agenda. You'll learn how role clarity can contribute to great teamwork. You'll briefly learn about the components needed for a smooth Holacracy transistion and how you structure and guide a Holacracy company. Viisi will share their journey to Holacracy, findings from their implementation and how they run Viisi with Holacracy these days. It's a surpise for us as well, as their company is always evolving, it's never the same story! We'll end the taster with a Q&A and some drinks afterwards, for you a great opportunity to share insights with other participants. For whom is this Taster? Executives and entrepreneurs exploring different forms of organization for their companies. People who want to get a taste of how Holacracy fits their organization. Organizational decision-makers interested in how Holacracy works. For everybody who is struggeling with the current corporate structure. For everybody who is struggeling with the nonexistent structure. For startups and coorporates. For everybody interested in Holacracy. This workshop will be held in English. If you prefer Dutch, please check out our website for other coming events. Als je liever een Nederlandse Workshop bijwoont kun je op onze website kijken welke data er nog meer beschikbaar zijn. This workshop is a small group event with a maximum of 20 participants. The location is Viisi Labs, Surinameplein 124 in Amsterdam. Within walking distance of public transport as well as close to the highway. (paid) Parking is available in the area. Laat OrganizationBuilders helpen om een eerste stap te zetten in zelforganisatie! Bekijk gerelateerde producten mét ervaringen: Holacracy en Engels.